Who Are the Knights of Baha’u’llah? I would like to share with you the most memorable and distinctive moment of my pilgrimage, which became a spiritual lesson and a lodestar, which enlightened the rest of my life. It happened 26th of November, on the Day of Covenant … In the evening at the Pilgrims Reception Center we were supposed to meet with the Hand of the Cause of God – Mr. Furutan. The meeting was appointed for 6 p.m. It wasn’t our first meeting with him. First time I saw him on the first day of pilgrimage – 24th of November. He gave a marvelous speech and promised us to come every other day. He said that before he used to come every day to meet with pilgrims, as Shoghi Effendi mentioned, that pilgrims were the guests of Bahá’u’lláh. But now doctors recommended him to come once in two days because of the age. He asked us to come on Wednesday with children, as he was going to speak about teaching the Faith. Now you can imagine our disappointment, when we were told, that Mr. Furutan wouldn’t come. Then I remembered that when he first came to meet with pilgrims, he looked very weak and fragile. It seemed to me that his energy was slowly disappearing. Of course, the first thing I thought was that he was not able to come because of the state of health. Many people know that Mr. Furutan lived and studied in Russia and that he still loves to speak Russian and loves those who speak Russian. Fortunately, all the Russian-speaking friends were present at the gathering. And when he was telling the story, he often translated some words into Russian, and especially, the words “duty” and “responsibility”. When the Hand of the Cause finished his speech, he immediately approached the Russian-speaking pilgrims and asked in Russian “Friends, did you understand what I said? Did you understand what is duty and responsibility?”These words were almost the last words in his life, as in few minutes he passed away. He died before our eyes, peacefully and with dignity, on the pilgrims’ hands, whom he appreciated so much. His life and his passing away became for me an example of true servitude, steadfastness in the Covenant, and faithfulness to the Cause of God. By his own life he showed us what duty is and how we have to fulfill it till the last breath! There are lots of books written about heroes of the Faith, but I’d like to introduce you to three of them, you may not have come across. 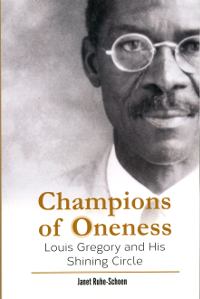 Champions of Oneness: Louis Gregory and His Shining Circle by Janet Ruhe-Schoen, tells the story of the indomitable African-American lawyer who pioneered the integration of the Baha’i community and its surroundings during the first half of the 20th Century, traveling fearlessly through the deep south, braving stubborn prejudice, riots, lynchings, threats from the Klu Klux Klan and a myriad other obstacles. The activists detailed in the book, including Mirza Abu’l-Fadl, Roy Williams and Zia Bagdadi, and other men and women, black and white, from Iran as well as North America, championed the central principal of the Baha’i Faith that of oneness. This book truly brings these early pioneers to life and provides an excellent glimpse into the challenges of early Bahá’ís working to overcome racism. 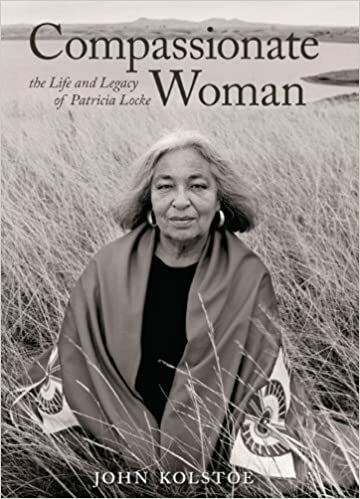 Compassionate Woman The Life and Legacy of Patricia Locke by John Kolstoe is the biography of a woman of Lakota and Chippewa heritage, who was the winner of a MacArthur Foundation fellowship in 1991 for her work to save tribal languages that were becoming extinct throughout the United States. This fascinating biography of Patricia Locke, who was given the name Compassionate Woman, gives us a glimpse into the life of someone dedicated to restoring justice and helping those in need. Her life of service began in Anchorage, Alaska, when she founded a community center aimed at assisting Native Americans, Eskimos, and Aleuts—who had moved to the city from villages—to cope with some of the problems they encountered. She then went on to work for the Western Interstate Counsel for Higher Education, where she focused much of her energy on establishing colleges on reservations. She was particularly concerned with improving education for American Indians and worked hard toward advancing education on reservations so that Native American culture and language could be woven into the curriculum. In addition to the MacArthur Fellowship, Patricia Locke was the first American Indian to serve as a senior officer on the National Spiritual Assembly of the Bahai’s of the United States, and she was posthumously inducted into the National Women’s Hall of Fame. Patricia Locke is not a well-known American or even Bahá’i heroine, yet her legacy is an inspiration of what one person can accomplish when they stay true to their values and have strong convictions. She was strong and unafraid of speaking out to challenge authority to bring about social justice for Native Americans. Her life story is a great example of what true humility looks like. This book will help her become a role model for many girls and women for years to come. Manijeh Saatchi, the author of this book, was a custodian of the House of the Báb in Bushehr, and her story is being told for the first time. It’s a story of love, belief and triumph, as it describes a degree of hardship to which very of us are subjected. She describes how her beloved husband died an untimely death due to an assault instigated by those opposed to his religious beliefs. Her children were exposed to constant humiliation and discrimination, their education interrupted or terminated. Their family assets were confiscated by unscrupulous officials, with no legal justification or redress. Members of her family were reduced to poverty through the operation of schemes designed to deprive them of professional opportunities and income. Despite being incredibly moving, this is not a book of lamentation, but rather a record of the power of the human spirit to withstand even the most perfidious oppressors and to emerge triumphant from persecution. It conveys a message of hope and optimism for all who value truth and who yearn for justice to prevail. For those of us who live in the West, where we can only glimpse religious persecution in a detached sort of way, Manijeh’s autobiography offers us a personal encounter of what it looks like for the Bahá’ís in Iran even today. Her story will give you a glimpse into a life that may very well inspire you to live yours more fully. Dr. Janet Khan, author of ‘The Prophet’s Daughter – The Life and Legacy of Bahiyyih Khanum, gives a talk on her extraordinary life and legacy. Bahiyyih, the daughter of Baha’u’llah, was given the title “the Greatest Holy Leaf”. She contributed significantly to the early years of the Faith. Her steadfastness during a critical period in the history of the Faith and during her appointment as the head of the Baha’i Faith testifies to the greatness of her character. The Greatest Holy Leaf is a superb role model to men and women everywhere who seek creative ways to deal with the forces of today’s society. This video describes the heroism and suffering of the Bábí and Bahá’í women of Nayriz through three violent upheavals in 1850, 1853, and 1909. It brings to life, in words and images, the heroism and suffering of the early believers and shows the ultimate victories that grew from their sacrifices. If you enjoyed the video, you’ll want to read the book! Enoch Olinga of Uganda, was one of the first Africans to accept the Baha’i Faith, a Knight of Baha’u’llah (Togo and Ghana) and the youngest and the only African Baha’i Hand of the Cause. He was fluent in six languages, trained as an economist and published two books. His dedication to the service of humanity took him throughout Africa, as well as to India, Southeast Asia, Australasia, the Pacific islands, the Americas and Europe. Despite all his accomplishments, he is most remembered for his radiant joyful spirit, true happiness, certitude, and nobility. Most people find her because they’re experiencing challenge around an area in their life, but they quickly learn that this is an opportunity into a profound level of healing that they never knew possible. She helps us see that the challenges we have in life have little to do with our partner, work or family, but often provides an opportunity to heal deep-seated false beliefs about self-worth. Her approach is often described as low-key, gentle and encouraging, as she helps people believe in themselves and in their nobility. Rannva Simonsen is an architect and designer with a passion for high quality fur clothing. Inspired by traditional Arctic shapes, textures and technology, her sealskin and fur outerwear creates an exciting alternative in winter clothing. The RANNVA brand reflects exquisite design, quality workmanship and attention to detail. Each item is unique. Her work is widely distributed throughout Canada and as far away as USA, Brazil, Russia, the United Kingdom, Greenland, Denmark, Iceland, Spain, Italy, Israel, Korea and Japan. She also runs a “Sewing for Survival (and Success)” program which enables and empowers women of the Arctic to make money and improve their lives through the creative use of their indigenous skills. These women take pride in creating unique designs inspired by their cultural heritage and in producing quality products. All items are handmade. Materials include wool duffel, leather, sealskin, beads, bone and antler. Some are decorated with colorful hand embroidery. Her goal is to strengthen the Nunavut economy through jobs based on traditional knowledge. 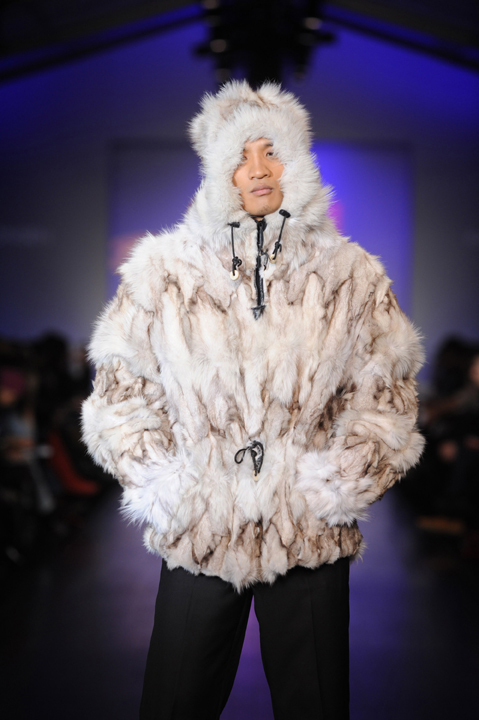 She tries to use 100% Nunavut sealskins and 100% Nunavut labour. See you next month! Hope it’s a month filled with honorable actions!